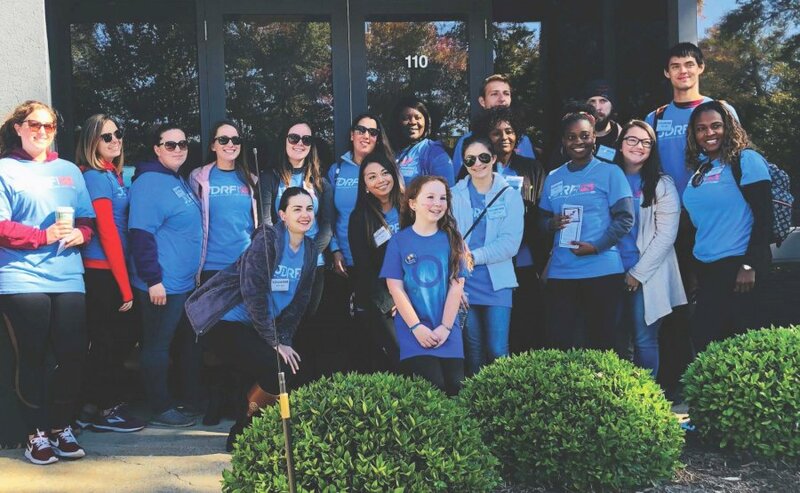 Thomas Nelson Nursing students shared their caring spirit by participating in a community outreach effort last month in Hampton. The students were among volunteers for the Juvenile Diabetes Research Foundation Walk on Nov. 3 and helped to raise over $300. Sponsoring young Ella Karcher of Hampton (pictured front center), they manned water and First Aid stations where they accepted monetary donations. Thomas Nelson’s Nursing associate degree program offers several options for aspiring nurses. Designed to meet the needs of hospitals and other healthcare agencies, the curriculum prepares student for entry-level employment as registered nurses as well as continued study at a four-year institution. To learn more about the College's Nursing program and other health care offerings, click HERE.